Most people don’t realize that by planting Amazoy zoysia grass you are helping the environment. Lawns look beautiful but the environment issues are clear. 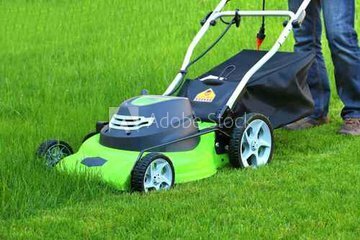 Mowing an ordinary lawn emits more pollution, per hour, into our atmosphere than eleven cars. 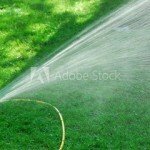 We are seeing more water restrictions being implemented in our country. 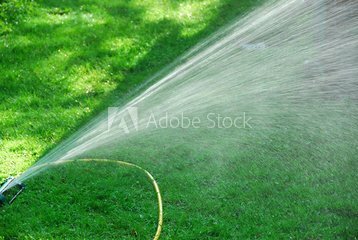 Too keep an average lawn green it takes about 2,000 gallons of water each time it’s watered. Chemicals from all of the fertilizers, herbicides and pesticides that we apply to our lawns can end up in our waterways. Amazoy zoysia grass is different. 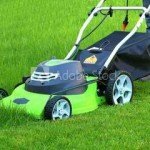 It is a very slow growing grass, therefore requires a lot less mowing than other types of lawns. The amount of pollution you are eliminating by planting zoysia grass alone is amazing. Amazoy zoysia grass needs about 80% less water or rain than most grasses. The tap root of this grass can grow up to two feet in length, allowing Amazoy to reach many water sources that regular grasses cannot. The ability to reach these other water sources saves millions of gallons each day, as well as cutting the cost of your water bill. The tight growth pattern of Amazoy zoysia grass makes it a very lush thick lawn. The thickness of the grass will prevent most weeds from germinating and will deter insects. With less or no more need for herbicides and pesticides we can help keep these chemicals out of our waterways. Amazoy zoysia lawn can save time, work and money, while helping our environment. There may be changes in your Zoysia lawn with the approaching colder weather. As the ground temperatures slowly drop or we get a hard frost, zoysia grass will start to go into its dormant state. When this happens the grass may start to turn yellowish and eventually a complete tawny brown. It is often thought that the grass is actually dying, however it is not, the grass is only going to sleep because of the colder weather upon us. This is how Zoysia grass protects itself from the winter elements and cold temperatures. Many of us are preparing for our final grass cutting for the year. It is best to mow your Zoysia lawn about 1 ½ to 2 ½ inches in height, this should keep your lawn looking well manicured during the winter months. Once that final cut is done, it is a great time for aerating your lawn, while the soil is soft and moist. Check out our post on September 4, 2015 “Aerating a Lawn” for more information on aerating. Then just sit back and enjoy the change in the seasons, the turning of the leaves, colder weather and snow falling. When winter has passed and spring has arrived, your zoysia grass will start to come out of dormancy. Once the temperatures maintain around 70 degrees or higher you will start to see new green blades of grass growing from your lawn. In no time at all you will have your beautiful zoysia lawn back.